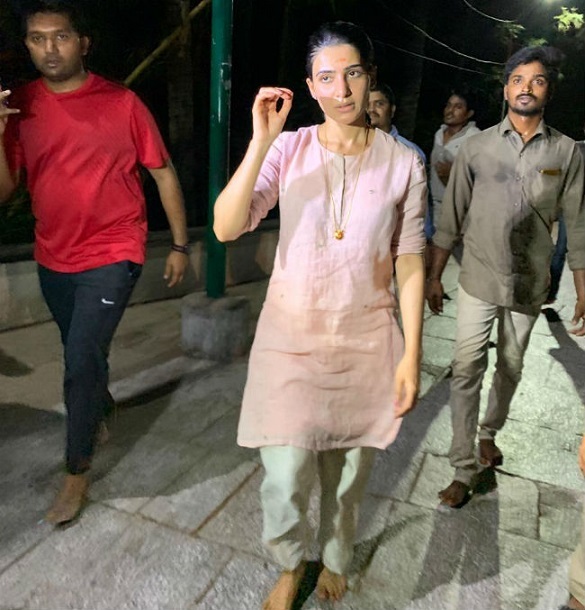 Samantha Akkineni has visited the holy shrine of Lord Venkateswara Swamy temple at Tirumala in Tirupati. Samantha reached the shrine by foot from Alipiri Padala Mandapam. The actress made a climb of 3500 steps on foot in less than three hours.